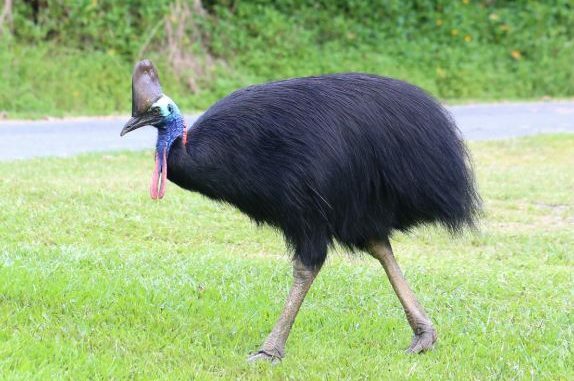 A Florida man was killed by an extremely dangerous bird called cassowary. These birds are exotic, enormous and flightless, even zookeepers take extreme precaution while approaching them. The man killed was Marvin Hajos, he was in his mid seventies who owned a farm to raise rare and exotic birds. 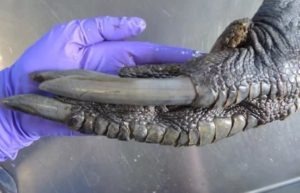 The authorities have secured the cassowary from the farm. In general the cassowaries are three species, are native to the tropics of Queensland, Australia and New Guinea. They are a relatives of ostriches, emus and rheas. They are thick black feathered from which a cobalt blue and vibrant red neck protrudes. Their feet pose danger to mankind. Their toes have pointed nails, and their middle toe nail is like a dagger which is several inches long. If the cassowary kicked you would defiantly end up at a hospital. They are 200 pound, 6 inch tall, eating fruit all day. Usually the cassowaries hide deep in the forests, and occasionally encounter humans. They fall under Class II Wildlife danger charts in the United States. Apart from posing danger to people their sale, public exhibition, or possession requires special permits. In 2012, an Australian tourist was kicked off a cliff into a body of water by a cassowary when he and his family were visiting Babinda Boulders in Queensland. “It just came straight up to me, decided to pick on me for some reason, I don’t know what for,” Dennis Ward told local media.